Two of the nation’s most powerful women have suddenly become vulnerable to political challenges from younger, far-left Democrats in a state that worships socialism and self-destruction. 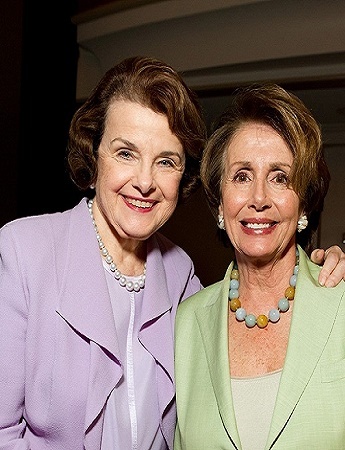 California’s gift to the American people: Dianne Feinstein (left) and Nancy Pelosi. 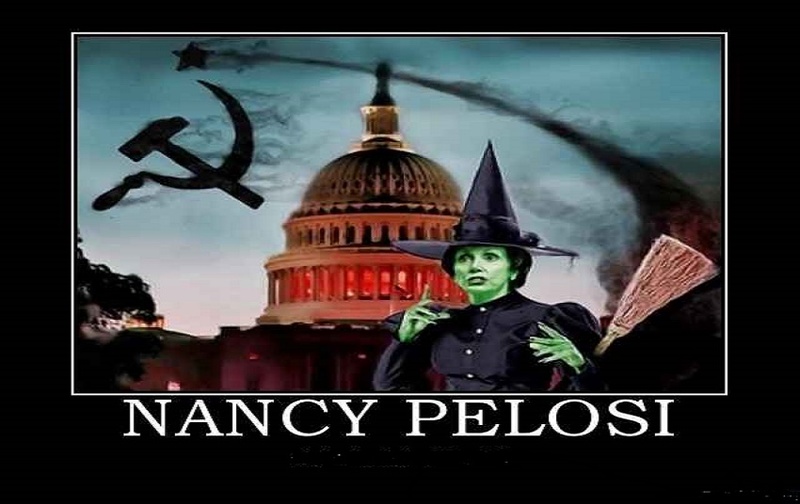 “Gun-grabbing, anti-right to life Democrat leaders Sen. Dianne Feinstein and Rep. Nancy Pelosi, both Californians, have established themselves just a few weeks before Halloween as the Wicked Witches of the West,” gun dean John M. Snyder noted in a statement released on Friday. “Sen. Feinstein said yesterday that no law would have stopped the alleged mass murderer in Las Vegas but that she still supports more gun control anyway,” Snyder continued. “Rep. Pelosi admitted last Thursday that moves against bump stocks reportedly used by the killer would be a step on a ‘slippery slope’ leading to more restrictive gun control. Sen. Feinstein, Ranking Member of the Senate Judiciary Committee, was interviewed on CBS Face the Nation while her comrade Rep. Pelosi, the House Minority Leader, spoke at a Thursday press conference. Snyder said, “Sen. Feinstein and Rep. Pelosi are bad news and so are other politicians of their ilk. Instead of the nonsense they’re promoting, what’s really needed is enactment of national reciprocity for state-authorized concealed gun carry. The fifth-highest ranking House Democrat said Minority Leader Nancy Pelosi should “pass the torch to a new generation of leaders,” highlighting frustration only previously voiced by some rank-and-file members. Representative Linda Sanchez, the vice chairwoman of the House Democratic Caucus, said Pelosi of California, as well as Minority Whip Steny Hoyer of Maryland and Assistant Minority Leader James Clyburn of South Carolina, should step aside to create more opportunities for younger members. A practicing Catholic, Snyder has been named “a champion of the right of self-defense” by the Washington Times, the “gun dean” by Human Events, and the “senior activist in Washington” by Shotgun News. The Trace designated him a power broker. California has become a hemorrhoid on the rear end of America. Between the two witches (sometimes spelled with a “B”) and Governor Moonbeam, CA has become the U.S.S.R. with sunshine and fresh produce. And it keeps getting worse! The answer? It lies in the hands of the voters, so there’s little hope for recovery.